This is time of year when our summer peaks into steady production. I am reluctant to think about what the predicted rain, as precious as it is for our farm, might do to the pace of the tomato harvest. It will definitely extend the tomato season until the first frost. 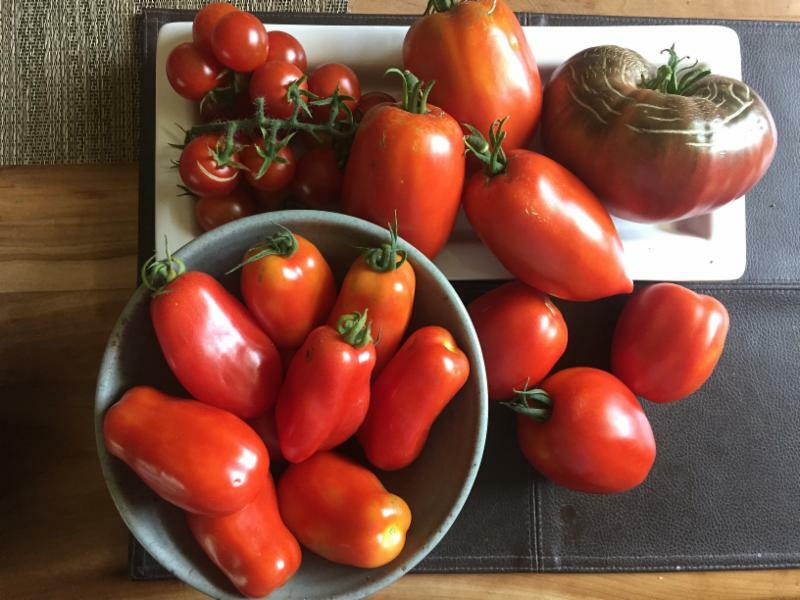 Climate change is giving longer hot autumn weather so prepare for tomato heaven. 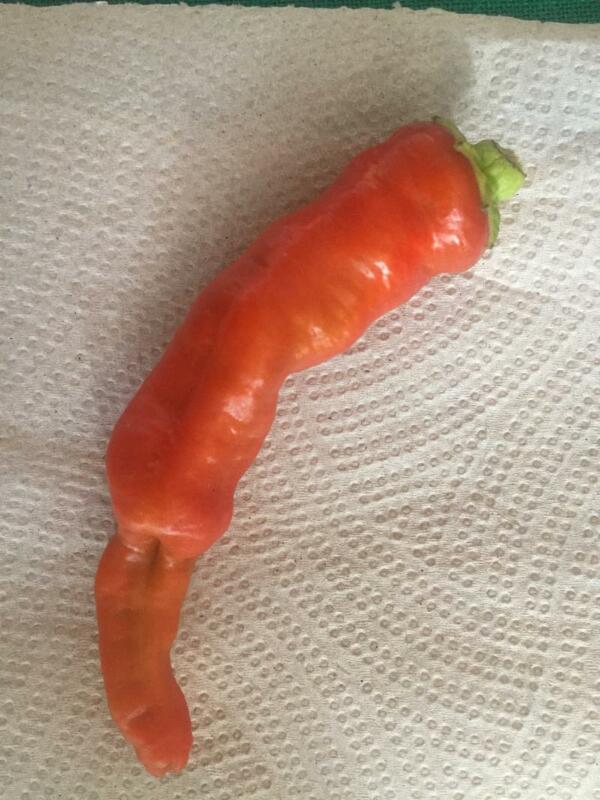 Our peppers are slow this year as are the eggplants. We expect not-too-late maturity on these . Next week I am on a vacation. 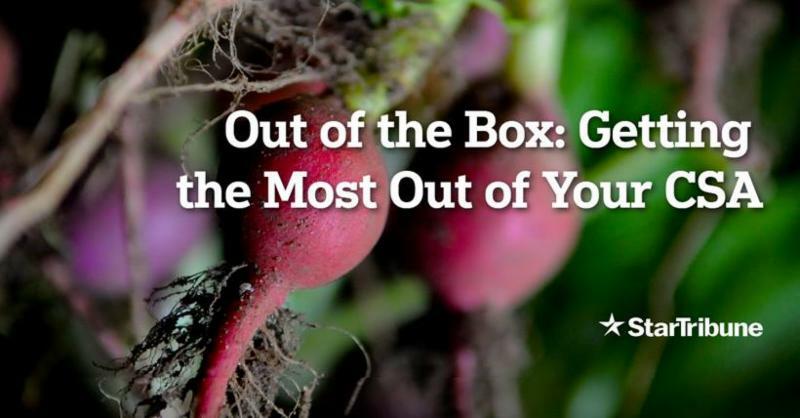 The next box is the INTERN CSA BOX , a final exam of sorts for our interns, who, with assistance from the rest of the farm crew, will do the work of preparing and planning the harvest, picking and packing your farmshares. It is full of promise. We celebrate the last week for our interns, Ana Benson and Kory Verhaagh. They have been the best interns and they are moving in good directions. Kory will be doing a for-credit directed study with WEI this fall and Ana is heading towards Masters Degree in Professional Horticulture. 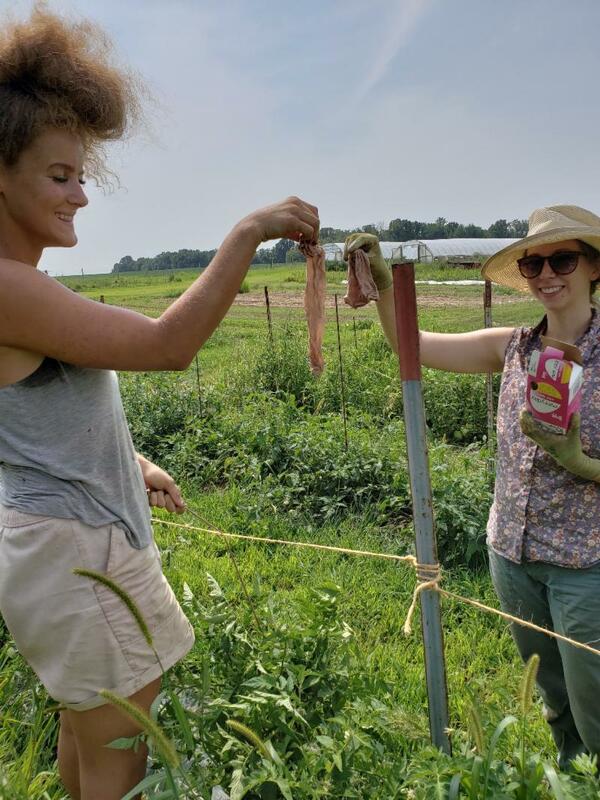 Pictured above : summer interns Ana and Kori tying up tomatoes with pantyhose! This week we bring you a variety of produce to use in making salsa. Tomatoes, sweet peppers, hot peppers, herbs, green onions, corn and cucumbers! 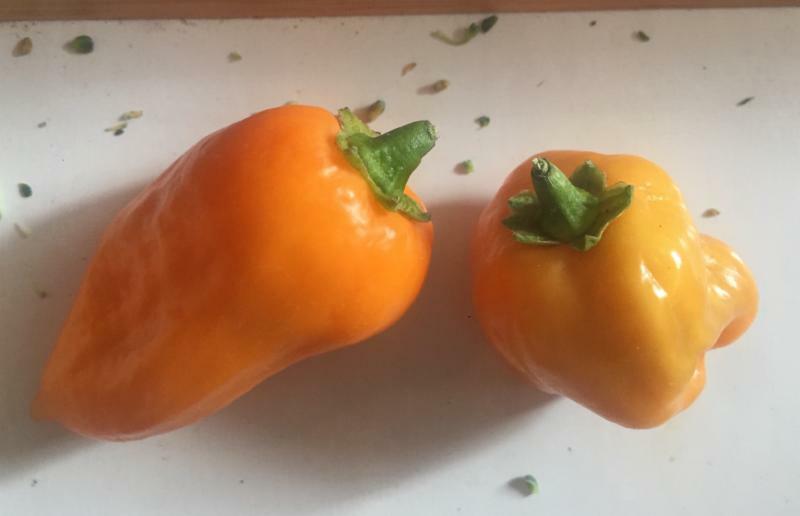 UPDATE FROM HARVEST DAY: Our peppers are struggling this year, we have plenty of hot peppers to give you, but our sweet peppers are few and far between - each box will have a sweet pepper - Goddess Sweet Banana Pepper or a Green Bell variety, we will keep nurturing the plants for future weeks! 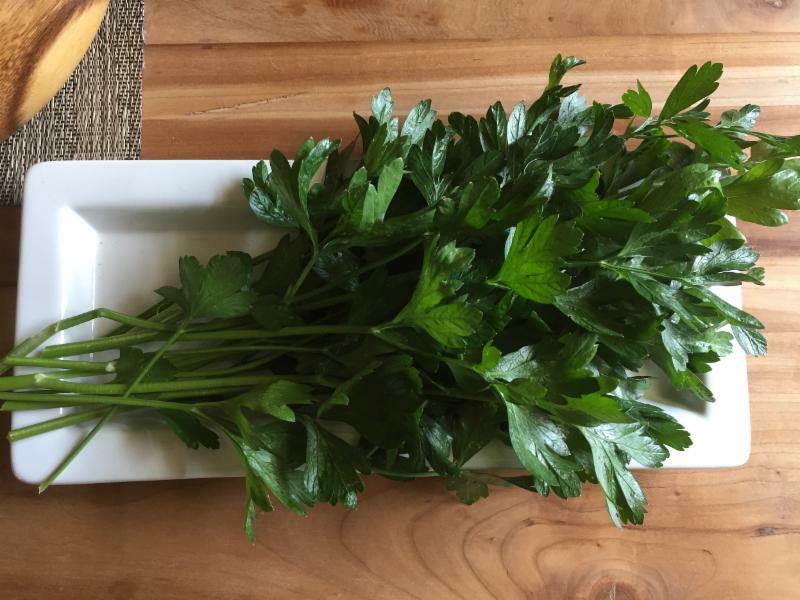 We also hoped to send cilantro for the salsa box, but instead have parsley for you - a good substitute for those who are not as fond of cilantro. For cilantro lovers we are sorry ours missed this box made for salsa, farming sometimes disappoints - but we keep farming on... Thank you for participating in the ups and downs of farming with us! We are in it together! We are just starting our tomato season and over the coming weeks our farmers will pack one to more varieties of tomatoes in each box – the varieties will be randomly divided among boxes. 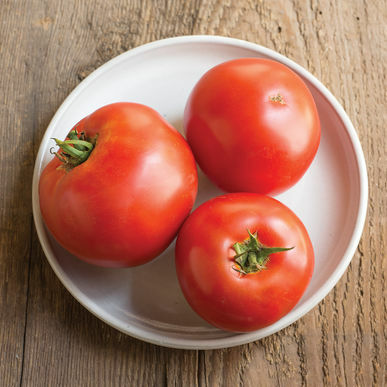 Perhaps the best known heirloom tomato, Brandywine is a large tomato, pinkish in color with a perfect balance of sweet and acidic – a full flavor tomato! 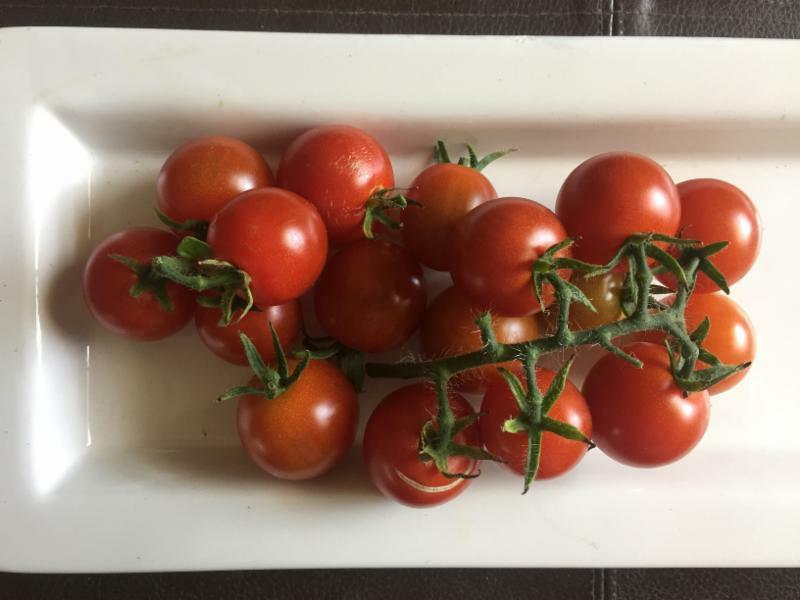 Bing Cherry A classic cherry tomato, bright red, plump and sweet like candy. Use your cherry tomatoes for snacking on or in any summer salad. These are perfect tomatoes for skewering whole on veggie kababs over the grill. Nice in a Caprese Salad. You can certainly use them in salsa and I recommend making a chunky salsa by quartering your cherry tomatoes. 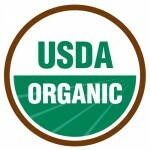 Sun Sugar Cherry A petite, super sweet and tangy variety are great for introducing kids to tomatoes for the first time. 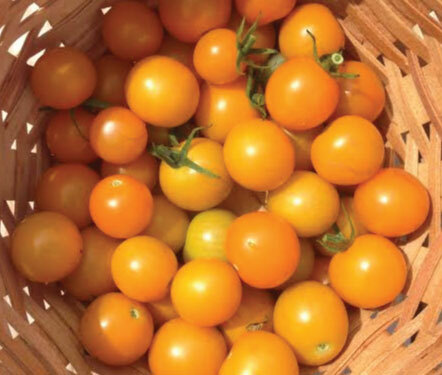 Beautiful yellow-orange in color, Sun Sugars are perfect for displaying on a platter of mixed tomatoes, drizzled in olive oil or cut in half and mixed with sliced cucumbers and a touch of salt. They will add another color to your salsa, so quarter or dice them coarsely and throw in! 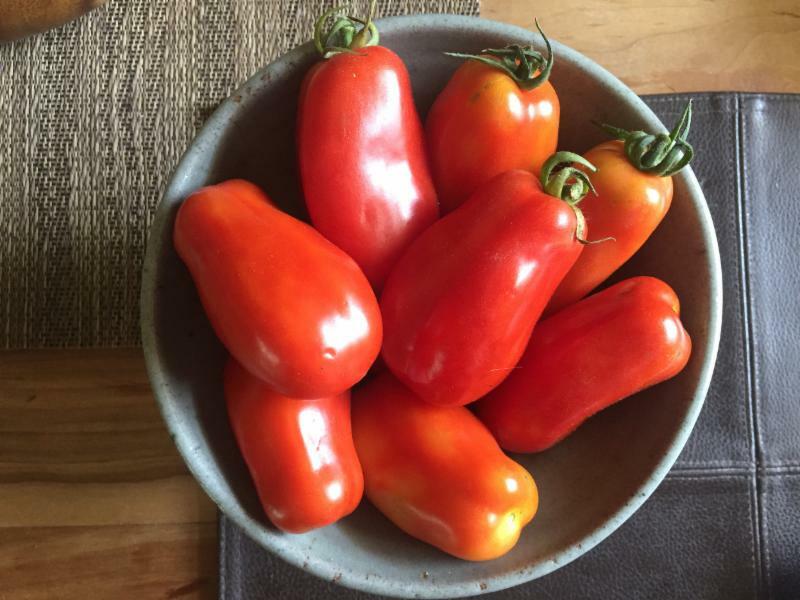 Amish Paste Heirloom: A wonderful meaty, thick walled variety with few seeds and a low water content suited for canning or cooking down for sauce. If you aren't interested in making sauce, these are equally good diced and tossed into pasta or other dishes. They are good to use when making a thicker, chunkier salsa. 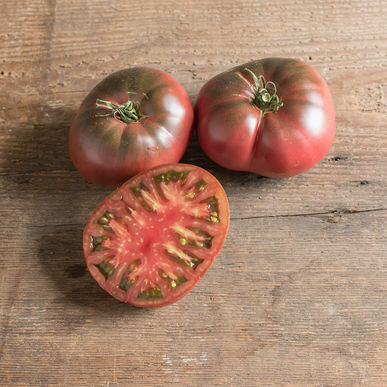 Black Krim Heirloom: Moderate-sized, fairly round with dark skin and dark flesh ranging in color from deep red to maroon or even purplish black - giving a good indication of their deep rich flavor. 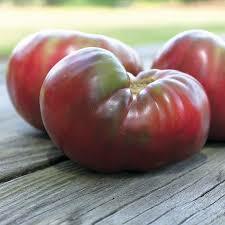 Black Krim are simultaneously meaty and juicy, sweet and acidic, with a very intense and complex flavor. This is Susanne's favorite tomato variety! 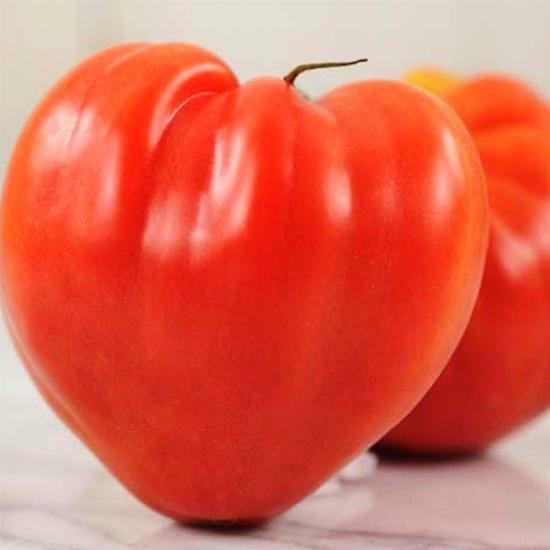 Pink Oxheart: An adorable heart shaped heirloom tomatoes, pale and pinkish in color, meaty and firm in texture, with minimal seeds and open seed-cavity - much like the Amish Paste, but larger in size. Sweet and tasty! These will make a good thick chunky salsa! Big Beef: A well known large standard slicing variety, great for sandwiches. Ju icy and tasty! These can get quite large and will make a fair amount of salsa! Any of our shareholders grow up on Tomato Sandwiches? A summer tradition with many Minnesota families. As with the tomatoes, there are one or more varieties of hot peppers in each box – the varieties will be randomly divided among boxes. They will range from green to red, increasing in heat as they redden. *We think this may be our final hot pepper harvest, but will continue to nurture our plants in hopes of sending more in later weeks. 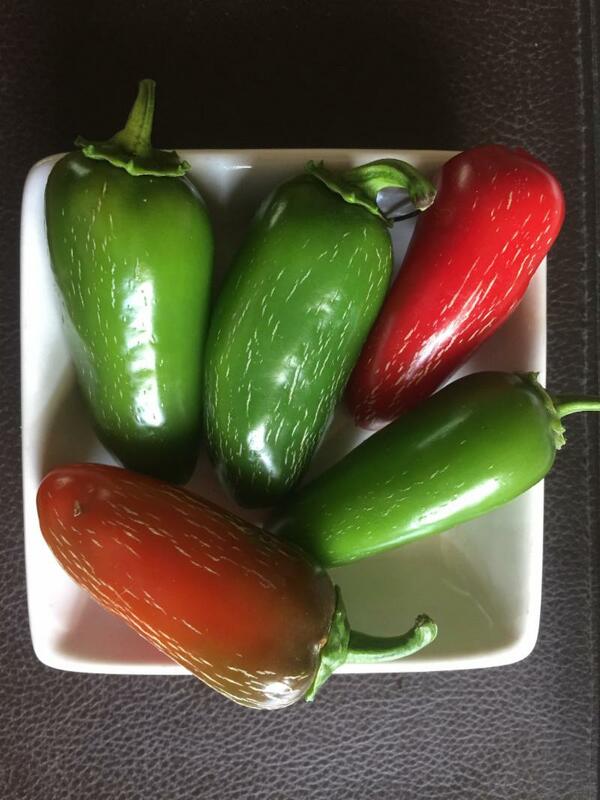 Jalapeno are mildly hot with a rich flavor like a green pepper, if you are looking for a pepper to be a focal flavor in your salsa or other cooking, this is it! 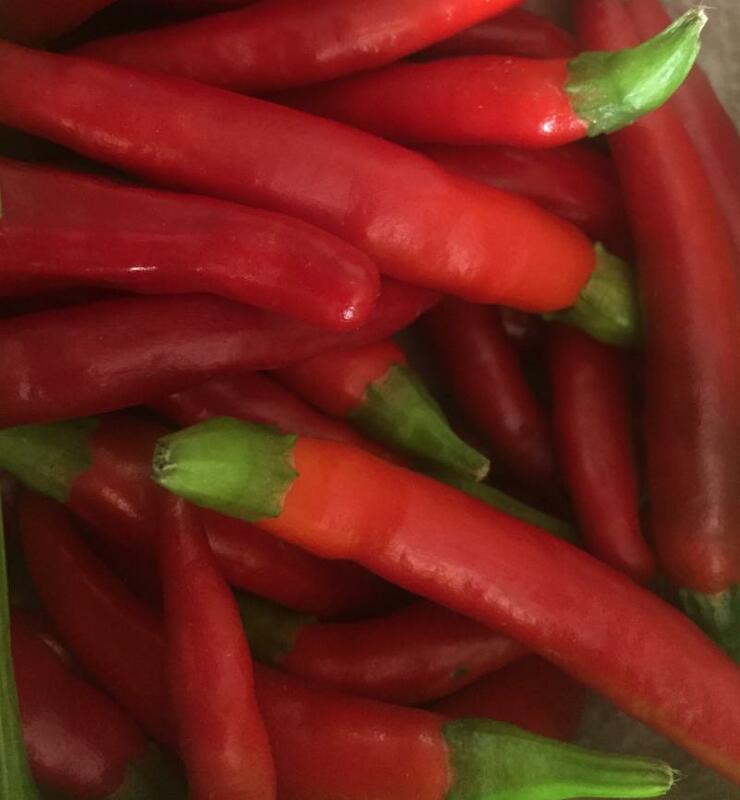 Hot Thai a medium to hot Thai Chili Pepper, with a simple flavor profile. 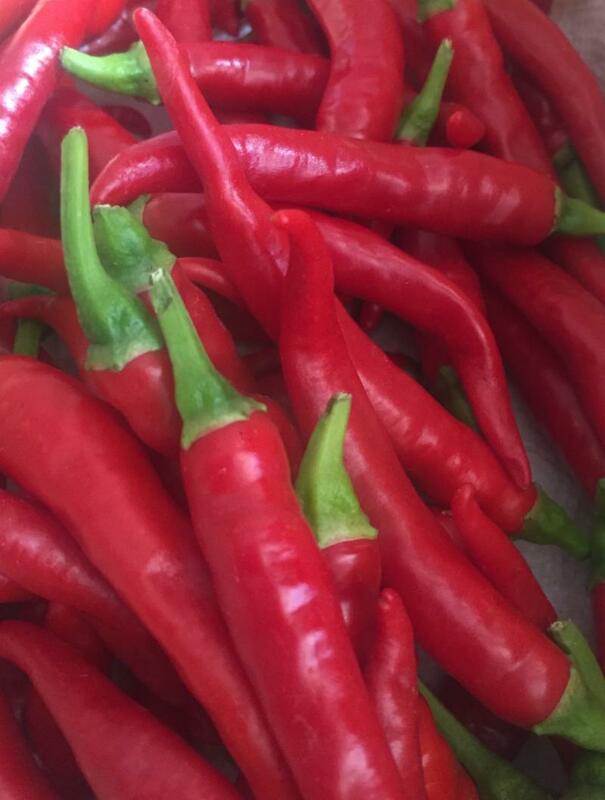 Ring of Fire - a medium to hot Thai Chili Pepper similar to our Hot Thai variety. 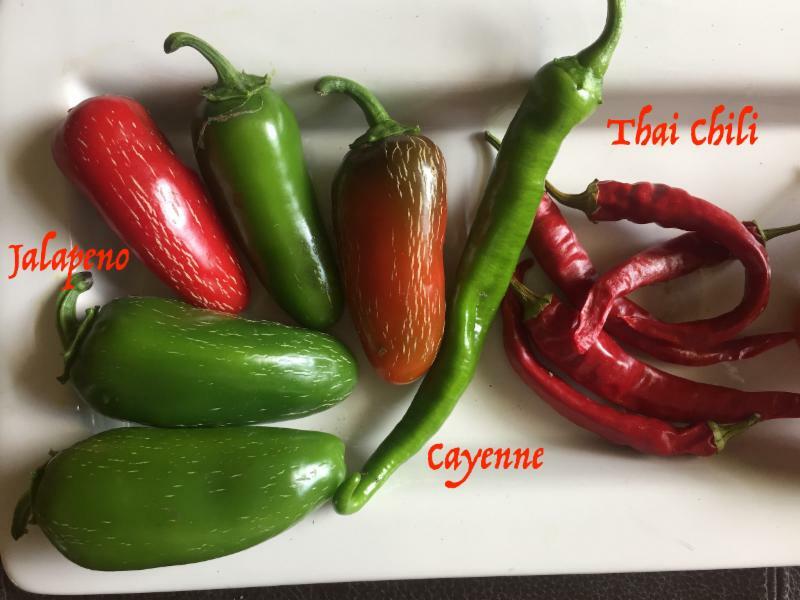 Cayenne Peppers are larger than a Thai Chili, dark orange to red in color, good and hot without a distinct pepper flavor so perfect for adding heat with out introducing competing flavors. Habanero are one of the hottest peppers, and have a complex flavor profile with a distinct fruity flavor that some people love, and makes them especially nice in salsas. Ghost Pepper - we hesitate sending these, they the hottest pepper and typically only the most experienced hot pepper lovers will dare use them! If we do send them we will store them in a bag with a note to use extreme caution when handling. If you would like Ghost Peppers, consider visiting us at Mill City Market (early is better, they tend to sell out mid-day). Storage: Store your pepper unwashed loosely wrapped in a paper bag in your refrigerator crisper drawer and they should last a week or two. To dry your peppers, string and hang with culinary thread in a sunny window for a few days - well dried peppers will last indefinitely in mason jar in the cupboard. Storage: Remove the rubber band from the herb bundle. You can store this in the refrigerator, unwashed, wrapped loosely in paper towel in a plastic bag for several days. It will also do well in a vase like we have recommended for basil in past weeks. 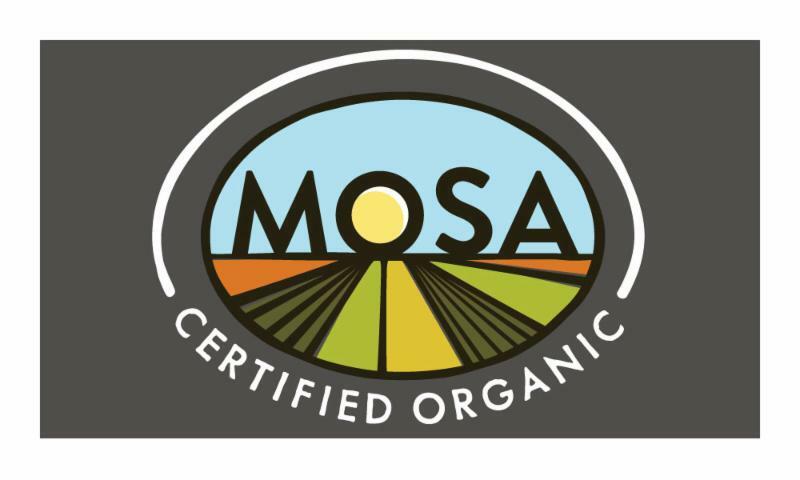 We are sending just a sampling of this delicious salad mix this week because again, our harvest isn't quite what we expected this week – we look forward to sending a good portion later in the season. Enjoy this preview! 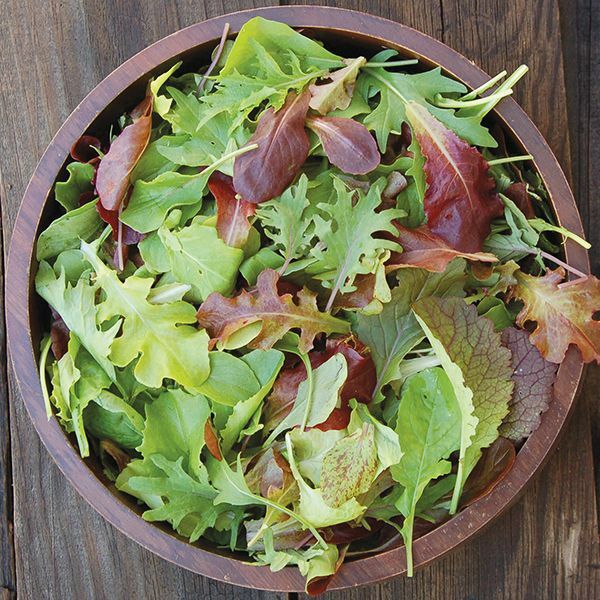 A flavorful mix of young greens including Red & Green Oak Lettuce that offers a delicate mild flavor, spinach adds some density, Red & Green Romain for a bit of sweetness and good water content, a variety of young Mustard Greens balance the mix with an aromatic and mildly spicy kick. This diverse complimentary mix of greens is an easy to please later summer green salad, rich warm flavors cueing in the feel of autumn! Storage: Store unwashed in its plastic bag in the crisper draw of your refrigerator for several days. Use your corn fresh and raw or gently boiled when making salsas or salads. Grilling adds depth to the profile of your salsa. Of course, eating your corn on the cob is always a favorite of summer! Storage: Your corn will taste best if you keep it chilled and use it within 2 to 3 days. When you get your CSA box home, wrap the cobs with damp paper towels and store in the crisping drawer of your refrigerator. Or you can remove the husks and silks and store bare cobs in sealed plastic bags. 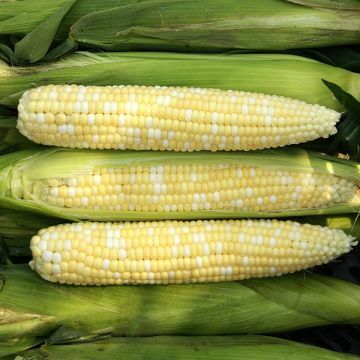 To freeze your corn, blanch the ears in boiling water for 2-3 minutes, plunge immediately in ice water til cool, then cut off the kernels patting them very dry with a towel and freezing in zipper bags. 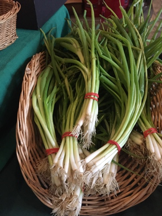 We are sending a bundle of green onions for those of you who plan to make salsa this week. If you are not making salsa, use them liberally in a Mesclun Salad or any way you choose. Storage: Wrap your onions in plastic, store in the refrigerator crisper drawer for 7 - 10 days. 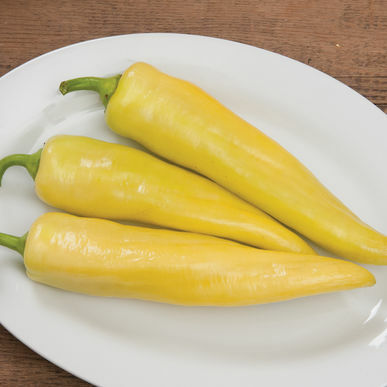 A variety of Banana Pepper, very long and yellow, turning slightly red as they mature. They are sweet, crisp and thin walled. They add a tangy taste to your salsa! Not making salsa, then slice them thin and stir fry for just 1-2 minutes, or cut them in half lengthwise to make pepper boats, remove the seeds and stuff with a mixture of cream cheese, green onion and minced parsley. Storage: Store your pepper unwashed loosely wrapped in a paper bag in your refrigerator, the crisper drawer is best and they should last a week or two. A specialty green, unrelated to Spinach you’ve seen our previous CSA boxes. Botanically known as Ipomoea aquatic, this semi-aquatic vine crop is very well known in Asia and becoming popular in western cuisine, especially with farmers markets and CSAs across the country. In Chinese it is called Ong Choy, or hollow vegetable for its hollow stems which are crisp and tasty! 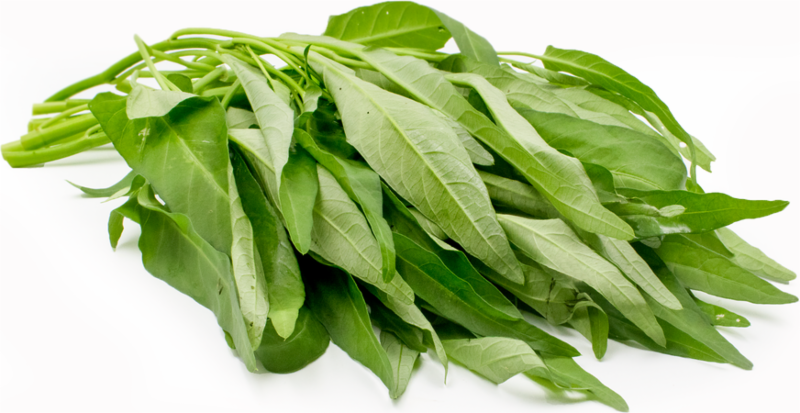 Leaves are tender though much more flavorful, have a similar taste to spinach, mildly sweet with nutty undertones. Storage: Store unwashed, loosely in plastic in your crisper drawer for up to a week. Remove rubber band if your greens are bundled to improve air flow. People always ask about baking zucchini this time of year so we are sending some our larger zucs’ suitable for shredding and using in Zucchini Bread, Egg Bakes or Muffins. When you scoop out the seed cavity, these are good for spiralizing too! Zucchini will vary in size between boxes. See Lauren's write up from last week for stuffing your zucchini! Google Zucchini Pizza Boats and you'll find all sorts of ways to peak some interest in this giant specimen! Kids will love them! Storage: These will last in your refrigerator wrapped in plastic for more than a week, though we suggest you use them within a few days since they may take up some space on the shelf! This week our farmers send either early sweet apples or tart crab apples for snacking or baking. Each week, more and more of our apples ripen and we'll give you a run down on varieties in a week or two! Here are a few salsa recipes for whatever you choose to work with from your CSA box. No need for canning, these are all FRESH SALSA recipes, quick and easy! Enjoy! 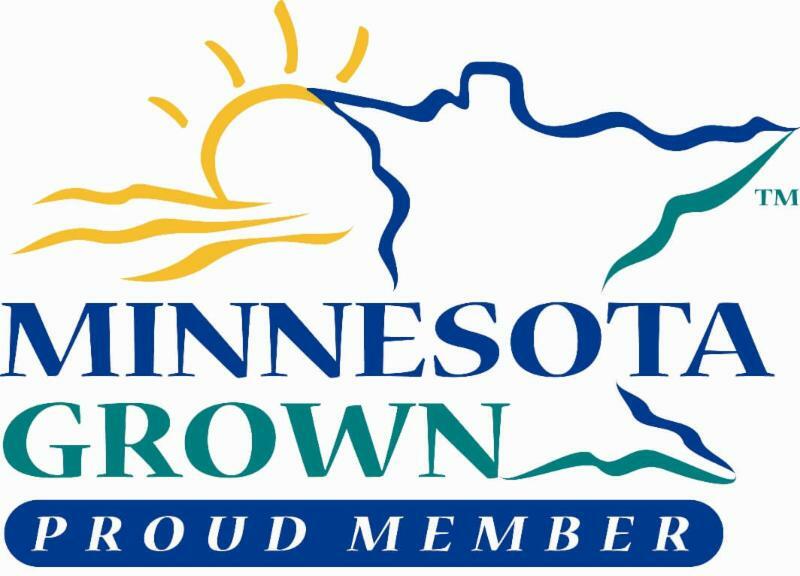 There is so much to do on a Saturday morning along the river in the historic mill district down town Minneapolis! 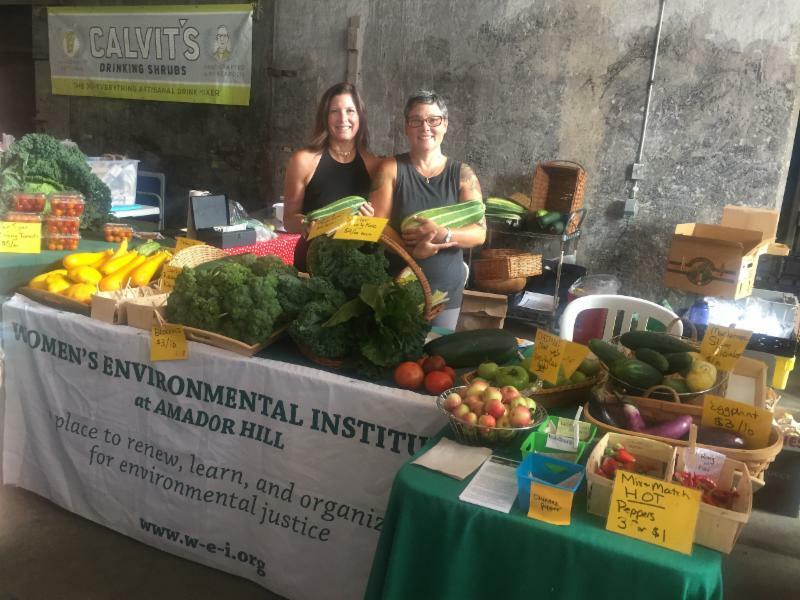 Step into the historic train shed of the Mill City Museum - we're the second stall to the right - and say hi to Karen, Susanne and a new volunteer Emily!